Even after two weeks into the new academic session, books have not been made available in primary and secondary government schools in Uttar Pradesh's Gorakhpur city. The unavailability of new books has also adversely affected the enthusiasm of children. 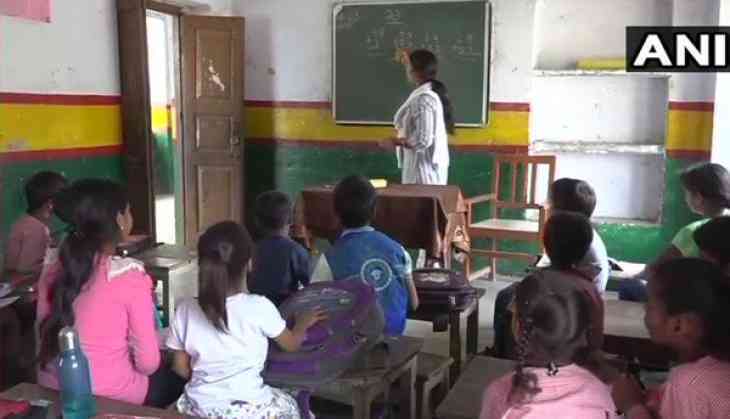 Speaking to ANI, teacher Sarita Dubey said, "We have not received new books from the government. Hence, we have collected the books from the children of the previous session." The Government enforced NCERT books in all government schools this year. However, the students' education is getting delayed due to unavailability of the same. While Additional Secretary, Yogendra Nath Singh said, "Due to less tender, the publisher could not make the books on time. However, we are trying our best and soon the books will be made available for which a stall has also been set up in many schools."